Meet Lyle Hauser, visionary CEO of the Vantage Group, a South Florida-based private equity firm and specialized business consultancy geared toward fledgling companies. Lyle, a New York City native, inherited his business chops from his late father, Milt, who worked in television production, and makes use of the same creativity and people skills at Vantage, which he founded in 1998. 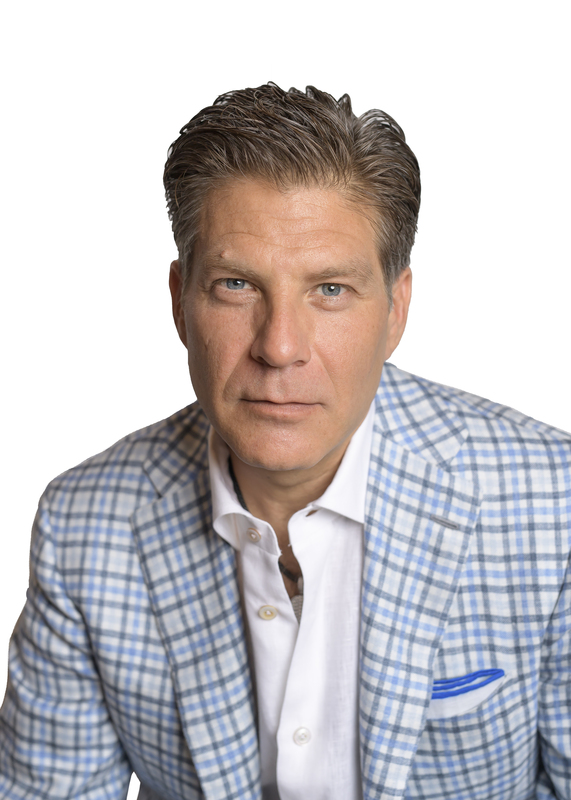 Lyle Hauser: The Vantage Group was born from my desire to create wealth by melding many of my personal passions, including game-changing technologies, investing, corporate finance and dealing with smart and creative people. The latter is perhaps the most fulfilling benefit of my business, as it allows me to collaborate with people ranging from young, enthusiastic entrepreneurs to highly accomplished industry pioneers on the global stage. Lyle Hauser: I’m always reading and trying to better myself, and better my understanding of some of the things that are going on in the marketplace. That, coupled with intuition and the opportunities that are presented to me, give me the ability to pick and choose which businesses or sectors with which I’ll look to get involved. What sectors have recently captured your attention? Lyle Hauser: We’re very much focused on Distributed Ledger Technology situations, as well as being involved pretty heavily in the cannabis space. Even though we’re not touching anything necessarily on the grow side or the dispensary side, we pretty much look at everything and evaluate those accordingly, based on what we’re doing and where those companies are growing. Lyle Hauser: Thankfully, Vantage does not need to advertise for business. I’ve been fortunate to build a network of people who I know and trust — and who know and trust me — and it those people who regularly send opportunities to me for investment consideration. Lyle Hauser: I’m relentless, and ultimately I’m always looking to further a company’s business plan and help entrepreneurs execute, because of course I have a vested interest in the company. I always put my money where my mouth is, so I’m never really involved in any businesses I’m not personally invested in. And I’m always looking for the right people to help execute that business plan, and for the right opportunities to potentially merge or acquire within the businesses and industries that we’re working. Lyle Hauser: Biggest Failure: I made a real estate investment that ended up costing more than I expected. I overcame it by taking a loss and moving on. In business, knowing when to cut your losses is key. Chasing a losing proposition is not productive. Biggest Success: Helping a female chef get her vegan business off the ground. I just tried to help her see the bigger picture. She was originally a private chef for a vegan client that had some health issues. We helped her to transform many of her delicious vegan snack recipes into a business for her, so she could not only help one individual by catering to their special nutritional needs, but instead coming out with packaged vegan snacks that we were able to then mass-market to consumers actively seeking healthy vegan snacks to supplement their diets. What I learned: Every day brings new challenges to address and new opportunities to explore. I rely heavily on the use of technology and my trusted core team of colleagues to support and optimize my business activities. Lyle Hauser: I highly recommend that people read and invest time in learning about new technologies that are positively impacting how we live, work and play. This valuable investment spent on learning and expanding/enhancing your knowledge base goes a long way when you are forced to tackle future obstacles to your success. So, read everything. Listen to smart people – even those who may have different points of view from you. And endeavor to always be learning and growing. Lyle Hauser: My personal business philosophy is to keep my good ideas to myself. I can be hired as a consultant if anyone needs business advice. That’s one of the keys to my success. Lyle Hauser: I’ve learned that there is never a shortage of opportunities to learn something new. Lyle Hauser: My dad was in television production while I was growing up. In anything he ever got involved with, he was very passionate about it. That is probably where I get some of what I have in me. He created and produced advertising campaigns for Fortune 500 companies. In building the various businesses that he was involved with as I was growing up, I guess that kind of inspired me to do some of the things I’m doing today. He looked at things from an outside-the-box perspective, and was always looking at different types of cutting-edge situations. Lyle Hauser: Conducting thorough due diligence is vital in my business. It is imperative that I fully grasp and appreciate the full scope and depth of an opportunity; like and respect the people associated with the opportunity; and intimately understand the possible challenges to success that may occur so that those challenges can be swiftly overcome. Lyle Hauser: I think DLT is going to be disruptive on many levels, in various sectors throughout the world. It can and will be used in probably every industry and sector that you see over the next few years. We’ll see what happens, but I believe it will change things so dramatically on a global basis that it will probably wind up being bigger than the internet. And the Internet of Things absolutely is still somewhat in its infancy. You’ll see over the next few years, just like DLT, it’s going to explode — and in conjunction with certain things in DLT. Consequently, I see myself with a front row seat to the industry transformations that are and will continue to take place — and I hope to be one who plays a meaningful part in helping to establish the companies who will emerge as industry leaders in these spaces.